INSPIRING/INSPIRED! 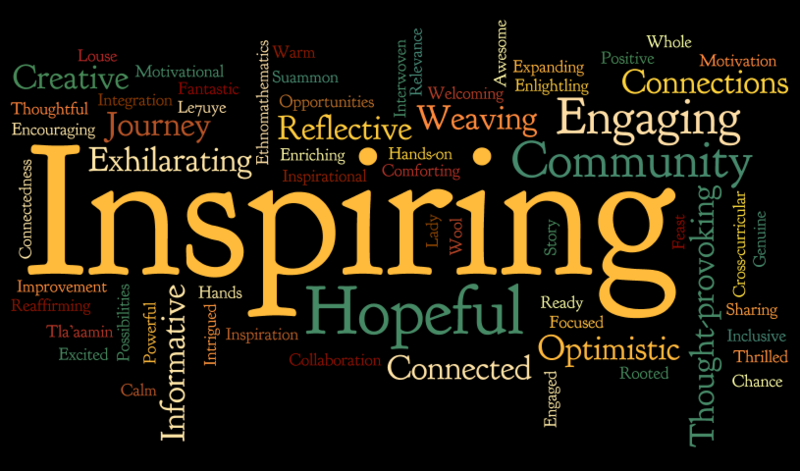 Was the most frequent word used by over 170 participants to describe their take-away from the 6th Aboriginal Math Symposium (AMS). 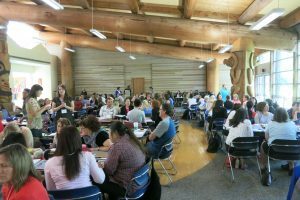 The event, held at the First Nations House of Learning UBC on May 12, 2016 drew participants from across British Columbia. I recall our first AMS with lead organizer Dr. Jo-ann Archibald. About 20 of us – district administrators, teachers, academics and community members from across the province – sitting around one table discussing the challenges and possibilities of improving mathematics education for Aboriginal learners. Six years later our Symposium has grown to fill the First Nations Longhouse. This year’s event was grounded in the work of practicing elementary and secondary teachers. It was affirming to see teachers experimenting with ideas adapted from previous Symposiums and developing confidence in sharing these with others. Each presentation modeled ways of bringing Aboriginal Resource teachers, classroom teachers, administrators and community members together. Each presentation also offered different starting places for integrating Aboriginal perspectives. Secondary math teacher Lori Bernard of Burnaby along with District Aboriginal Resource Teacher, Karla Gamble, began with the curriculum and sought ways to incorporate Aboriginal education with specific learning outcomes. While beginning teacher Katrina Melan of Kamloops in collaboration with First Nation Education Worker Don Bowser began with Secwepemc drum-making, keeping an eye, ear, and heart for moments that offered opportunities for mathematical inquiry. 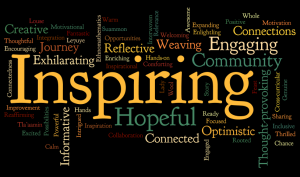 How can I find the “Learning Spirit” of Aboriginal students? How can I incorporate Aboriginal values of “sense of place” in teaching math? How can Aboriginal education’s participatory nature be used to support all students in a typical classroom? How do I as a non-Aboriginal person authentically teach Aboriginal ways of knowing to Aboriginal children? Where do I go as a non-Aboriginal teacher to find authentic, politically correct material to teach? These are excellent questions posed to further the discussion. We asked participants for feedback on how to improve the Symposium for next year and many suggested more time for more in-depth discussion. Some suggested break-out groups for those interested in primary and secondary education. Good suggestions that we’ll consider for our 7th AMS next year. Hope to see you then.